The Heartcore Red Dress from Jawbreaker is an A-line dress with a flattering fit. 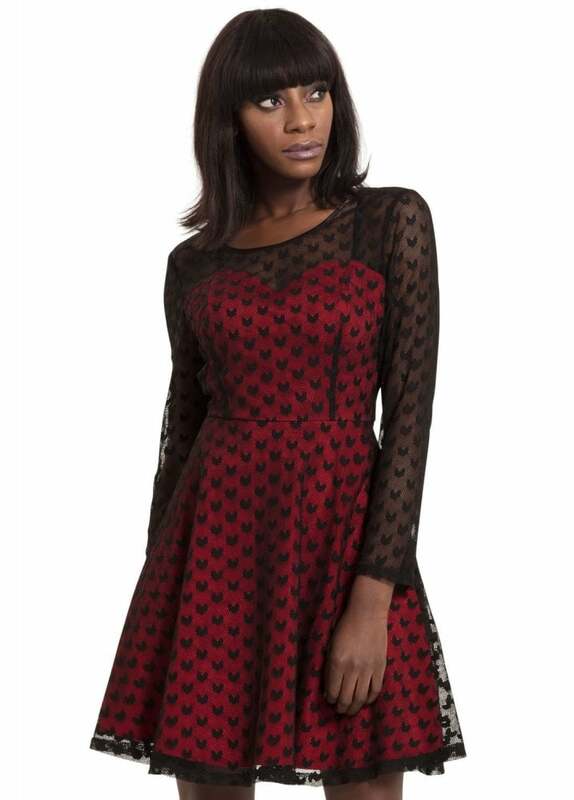 The alternative dress is red with a sweetheart neckline and a black heart patterned mesh overlay which is sheer on the neckline and long sleeves. Be my Valentine!